If you want an accounting process that gives you peace of mind while increasing your bottom line, then it’s not much of a guess to see that you want to lower expenses, reduce taxes, improve cash flow, and manage your business more profitably. You’d like your books to mirror the way you do business, and you’d like to be able to tell how your company is doing as you make it grow. Have complete control systems for Accounts Receivable, Accounts Payable and Inventory. Better management of vendors and customers leads to lower inventory levels, lower supply costs, competitive pricing and improved cash flow. Properly account for Contracts in Transit, Bank Reserve Accounts, and Flooring of Products for Resale (inventory financing). Maintain control of income and expenses. Never get caught in a cash flow crunch again. Control Raw Materials, Direct Labor, Work in Progress, and Finished Goods. Keep expenses categorized into Manufacturing and General Overhead areas. A better understanding of the relationship between Cost of Goods Sold and Pricing can tell you which are your most profitable products. You might just be surprised. Control expenses and income for year-end savings. Take advantage of conversion from cash-to-accrual . Manage Accounts Receivable and improve Collections. Control cash, credit card, and gift card transactions, staff schedules and payroll, food and beverage costs and inventories with an integrated combination of an industry specific point of sale (POS) system, QuickBooks and merchant services. Have a low-cost, low-maintenance system. Understand where your expenses are most impacting your profitability by diving them into Patient Service Expenses, Re-Sale Products, Lab Expenses, Medical Supplies, and Administrative Expenses. Determine the return you are receiving from each. Your system will be tailored to your business. You can do it, I can do it, or we can do it together. Your staff will be free to produce more profits for you. You will receive properly-designed financial statements that will allow you to manage your business efficiently and help you better plan for the future. 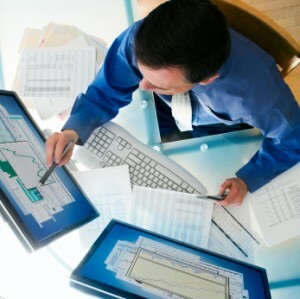 Choose from hand-posted or computerized programs, such as QuickBooks, specifically tailored to meet your needs. If your business is steady and stable or growing fast, then congratulations! But IT IS POSSIBLE for your business to improve and generate more profits! If your business is brand new, don’t make expensive mistakes that will mean be the difference between success and failure! Nonetheless, every day millions of business owners drive their businesses without knowing their financial locations: where they have been, where they are, and where they are going. They may as well be blindfolded. As your Profit and Growth Expert, my primary role is to ensure that you have the historical data that will tell you where you have been and where you are now. With that information I can provide professional consultation that will help you determine where you want to go while creating a realistic action plan that will help you get there. With a 360 degree view of your business, you can plan effectively, and then track, your progress against your goals. It will also help you anticipate obstacles so that, when encountered, you can easily maneuver around them rather than allowing them to slow you down.